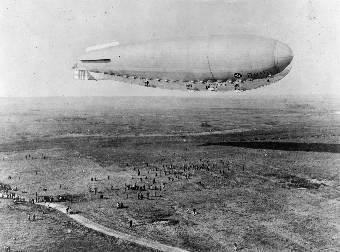 In 1920 the Army Air Service purchased a 410-foot long semi-rigid dirigible, the Roma, from Italy. Disassembled and shipped to the United States, the reassembled airship made its first flight in America from Langley Field, Va., on Nov. 15, 1921. Dissatisfied with the Roma’s performance, the Army Air Service replaced its Ansaldo engines with more powerful Liberty engines. 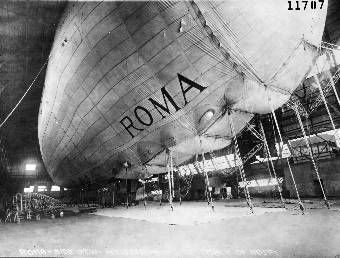 The first flight test with the Roma’s new engines took place on Feb. 21, 1922. 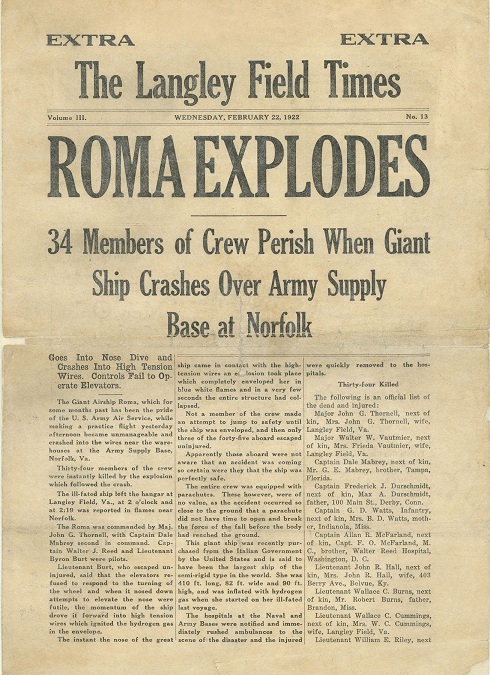 With 45 officers, enlisted men and civilians onboard, the Roma flew across Hampton Roads at about 55 mph. 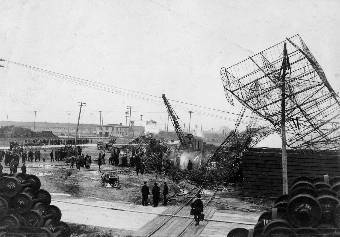 While about 600 feet over Norfolk, Va., the control box at the rear of the airship broke and forced the Roma downward. The nose buckled, the disabled airship hit some high-voltage wires, and its hydrogen gas exploded. Thirty-four men died in the crash. Investigators could not determine the cause of the accident, but it was generally thought that the Liberty engines had been too powerful for the Roma. 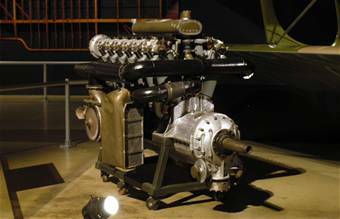 America’s major technological contribution to World War I was the “Liberty” aircraft engine. It was light, powerful and efficient. America’s auto industry turned out 20,478 of them for the war. 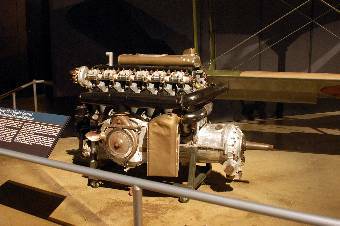 The Liberty engine continued in military and civilian use even into World War II. This 12-cylinder, liquid-cooled 443-hp Liberty 12-B demonstrates the Army Air Service engineers’ quest for higher flight and more efficient power. Its turbo supercharger allowed aircraft to reach great heights by compressing the thin air at high altitudes to preserve engine power. A turbo supercharger uses engine exhaust to power an air compressor, which in turn feeds dense, oxygen-rich air to the engine. 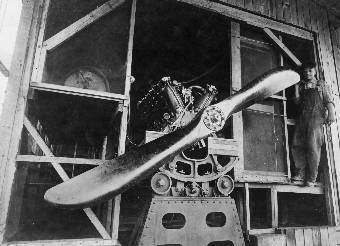 A sturdy circular arrangement of reduction gears on this particular engine (called “epicyclic” gears, in the round silver case around the propeller shaft) allowed the propeller to turn at variable speeds for better performance. 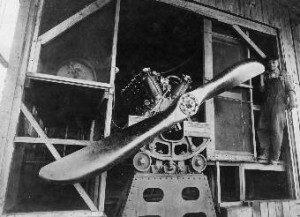 This method of changing the propeller’s thrust by shifting gears eventually gave way to adjusting the angle or pitch of the propeller blades instead. These kinds of experimental refinements were carried out at McCook Field and Wright Field, the Army Air Service’s testing facilities near Dayton, Ohio. The tests led to greater knowledge and better aircraft in the 1920s and 1930s and paved the way for developing the superior aircraft the Allies would need in the Second World War.